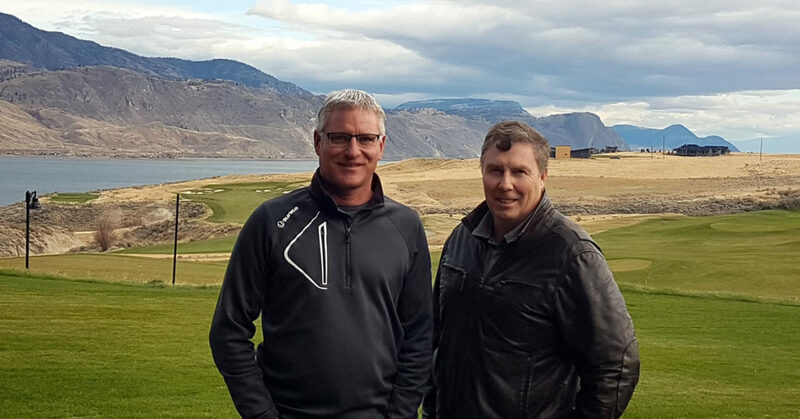 The main priority for the golf course will be the opening of a new hotel – bringing on-site accommodation and stay & play packages to Tobiano. The process of determining the best location for our first hotel, the hotel branding, and the selection of an architect is already underway. Community amenity building featuring pools, hot tub and exercise rooms. Designed by award-winning Canadian golf architect Thomas McBroom, Tobiano golf course is carved out of the desert canyons of historic Six Mile Ranch, overlooking the cobalt blue of Kamloops Lake. Expect staggering natural drama at every hole. The Clubhouse and Black Iron Restaurant at Tobiano are the perfect complement to the multiple award-winning golf course, with entrees that will rival the golf experience on patron’s brag lists. For more information, visit tobianogolf.com or call 1-877-373-2218. Ranked #6 in the Top 100 Golf Courses in Canada, Canadian Golf Magazine 2016; #8 in the Best Canadian Modern Courses, Golfweek 2016 – with both the aforementioned giving Tobiano the #1 position for Public Golf Courses in BC; and #25 in the 2015-16: Best Courses in Canada, Golf Digest August 2015, Tobiano continues to be a force to be reckoned with in the world of golfing. More recent rankings by esteemed golfing publications also continue to put Tobiano as the #1 Public Golf Course in BC. #5 in the Top 100 Golf Courses, Top100golfcourses.com 2017General Manager Terry Smith accredits the continued accolades for Tobiano to “a very solid foundation of exceptional golf course design; unwavering commitment to superior golf course maintenance; exceptional service from a very dedicated staff; and the ongoing support of those who love to golf Tobiano – our customers.” In short, when you play Tobiano, you are in for something special. Tobiano is more than just a golf course in Kamloops, BC. Tobiano is a master-planned residential community resting above the shores of Kamloops Lake. Offering residents the finest golf experience in Canada, access to water sports on Kamloops Lake, and year-round activities, more and more people are showing a keen desire to experience Tobiano living.Interest in Tobiano living continues to come from far and wide, with visitors to the Tobiano Presentation Centre arriving from mainland China, Korea, the United States, Alberta, northern BC, as well as the Lower Mainland, Okanagan and Kamloops markets. Helping build excitement in Tobiano Real Estate, a new show home is under construction and will be marketed by the Finch Group. Construction has begun on the remaining 48 units at Summers Landing, featuring panoramic views of the golf course and Kamloops Lake, with the first units scheduled for completion early in 2018. It is no surprise that viewings continue to come thick and fast.The Tobiano Presentation Centre, with its incredible view of the entire development, is located at 38 Rue Cheval Noir and is open Monday to Friday from 10am to 4pm and weekends by appointment. Visit tobiano.ca for further information.